Yesterday Skype announced a partnership with the United Nations High Commissioner for Refugees (UNHCR) to provide a special, low bandwidth version of its software to humanitarian workers in the most remote and dangerous regions of the world. The low-bandwidth version of the software will allow workers in desolate locations to stay in touch with family and friends back home. 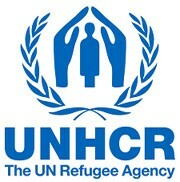 This software is the first of its kind for Skype, which developed the low-bandwidth Windows-only version throughout 2010 specifically for the UNHCR. By the end of 2010, Skype’s service will reach more than 2,072 members of UNHCR’s staff across 60 UNHCR locations including Iraq, Sudan and Afghanistan, Chad, Congo, Kenya, Myanmar, Somalia, Sri Lanka, Nepal, and Pakistan. By the end of 2011, Skype aims to expand to at least 80% of UNHCR hardship locations and to reach more than 3,000 staff members.